An Indian kidnapped in Ukraine has returned safely to his home there after India took up the matter at the highest level with the Ukrainian government. External Affairs Minister Sushma Swaraj had on Saturday assured all help after a woman urged her and Prime Minister Narendra Modi to help find Indian national Anuj Goel. 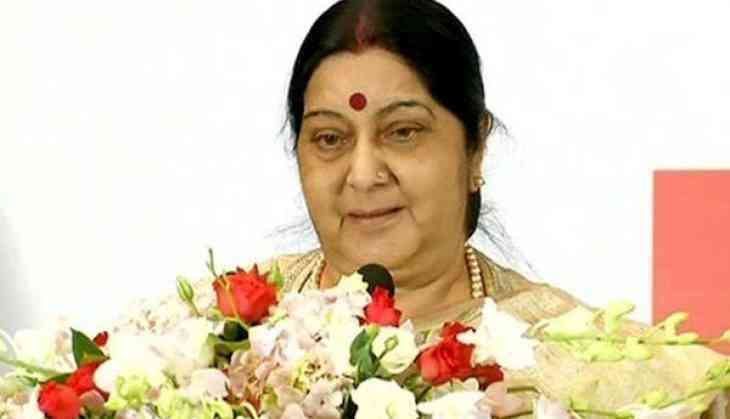 Responding to the request, Swaraj had tweeted, "I have spoken to the Indian Ambassador in Ukraine. We have taken this up at the highest level with the Government of Ukraine. Please rest assured that we will spare no effort." The brother of Anuj Goel Sunday tweeted, "@SushmaSwaraj Thanks a lot mam because of ur kind intervention my brother has reached safely home in Ukraine. READ NEXT >> Post breakup with Alia Bhatt, Sidharth Malhotra revealed whom he is dating in between Jacqueline Fernandez or Kiara Advani!